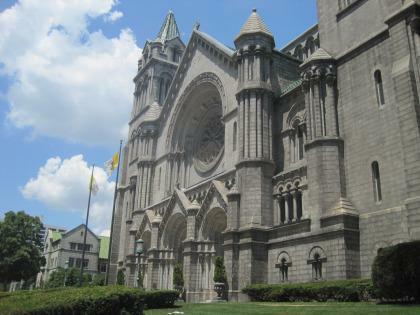 ST. LOUIS–(MO)–Archbishop Robert Carlson is named in a civil suit, accusing him of attempted tampering with physical evidence in the case of a priest accused of sexual misconduct. The suit alleges Carlson telephoned the mother of a Lincoln county teenaged girl — a girl under the age of seventeen — who had reportedly been molested by Father Joseph Jiang. The suit claims Carlson asked the mother to give to him a check for $20,000 Jiang had reportedly placed on the family’s car. “This suggests the Archbishop was possibly attempting to coverup the crime of trying to buy off the parents,” said an attorney for the girl’s family, Ken Chackes. The suit accuses Carlson of “negligent supervision” of Jiang, who according to the suit, was assigned from China to stay with then Bishop Carlson in Saginaw, Michigan — then transferred with Carlson to St. Louis and lived in the Bishop’s private residence in St. Louis. “Archbishop Carlson, in suggesting that the minor Plaintiff’s parents return Father Jiang’s check to him, committed the criminal offense of attempted tampering with physical evidence,” the suit claims. 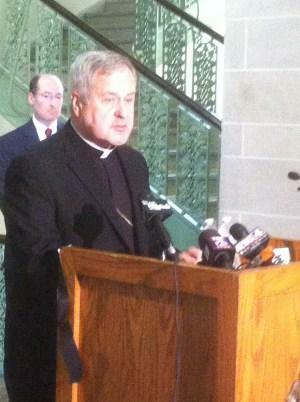 The Archdiocese declined to comment on a matter of pending litigation. KMOX was awaiting a response to the suit from an attorney for Jiang. Paul D’ Agrossa.